Thanks for your spreading my message! This book is aimed at documenting the hospitality I experienced while hitchhiking across Syria, Iraq, Iran and Afghanistan. While there is no island left to chart in the globe, and satellites can spot a rabbit in a field from thousands of miles away, there seems to still be a point for a traveller to go out and explore the unsung depths of human kindness. Complete check out and receive my book! 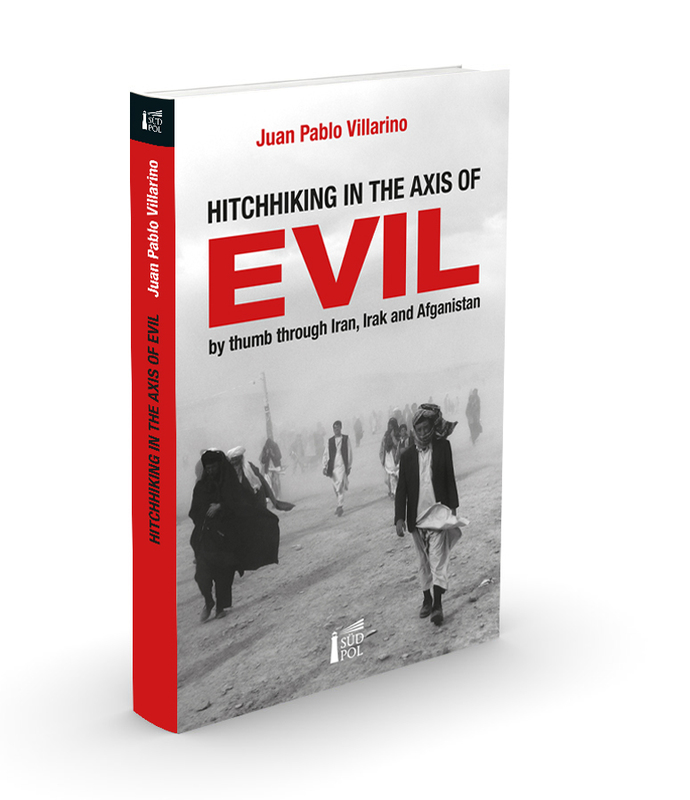 On May 1st, 2005 Juan Villarino, Argentinean writer, hitches a ride in a sailboat from Belfast harbour to Scotland, on the first leg of a journey to the Middle East. Borrowing the strategy of the snail, he carries all he needs in a backpack, and sticks out his thumb along both dusty roads and highways. He possesses no credit card nor bullet proof jacket. His goal is to cross the heart of the Islamic World, Turkey, Syria, Egypt, Iraq, Iran and Afghanistan, solely by hitchhiking, in an attempt to prove that hospitality abounds in a region portrayed as terrorist by the establishment media. As he moves across the vast globe Juan lives deliciously absurd events. He enters Iraq at night like a homeless person, but ends up teaching hitchhiking lessons in the Kurdish Parliament. In Teheran he sojourns with the intellectual resistance against Iran’s Ayatollah’s regime. He crosses Afghanistan village by village, having tea in a minefield, becoming a postman for a day, and dropping by a NATO base to fill up his backpack with foodstuff. While he travels, his pen describes those ordinary people who sweat and work under any flag but never ever grab the headlines. The outcome is the book you hold in your hands: an ode to movement and a precise chronicle about one of the least travelled zones on Earth. Today, Juan keeps hitchhiking the world and writing books by the roadside. BELOW YOU CAN MAKE YOUR PAYMENT. WE WILL SEND YOU THE EBOOK (Epub) VIA EMAIL AS SOON AS WE GET IT! THANKS FOR YOUR TRUST! Hey! If you just purchased my book it means you are keeping us on the road for the next two days! Drop Laura and me a line to say hi or send us your comments!